Excess body fat and the metabolic problems that coincide with obesity are an increasing problem worldwide. Exercise is often prescribed as a tool for reducing body fat. However, studies show that the conventional recommendations of using steady-state aerobic exercise are largely ineffective for reducing body fat stores (1). In comparison, studies suggest sprint training may be more effective to produce significant fat loss, especially in overweight populations (2,3). Sprint training has been shown to improve markers of cardiovascular health in several ways. A study of overweight women showed increased stroke volume, which is the amount of blood ejected from the heart with each beat, after 4 weeks of cycling sprint training (4). I t has also been proven that sprint training benefits people who have heart disease risk factors, hypertension and who are recovering from a heart attack. 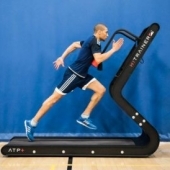 High-intensity intervals lasting 1 to 4 minutes, interspersed with active recovery, lower blood pressure and convey a range of cardiovascular benefits including improved endothelial function and lower resting heart rate (5,6). The brain is another prime beneficiary of sprint training, which can raise levels of protective hormones and improve learning. In a study of Parkinson’s patients who did moderate-intensity interval training for 8 weeks, brain health status improved, and they experienced a significant reduction in inflammation in the brain (7). Scientists believe exercise stimulates the release of Brain-Derived Neurotrophic Factor (BDNF), which acts as a hormone in the brain and aids learning, while countering oxidative stress. Exercise has been identified as a tonic for mental health, improving levels of chemical messengers that regulate mood and cognition. Interval training raises levels of the POMC neurotransmitters (commonly known as beta-endorphins) that have a mood-raising effect (8, 9). The benefit extends to lowering risk of depression and anxiety (10, 9). The respiratory system experiences the fewest adaptations of all the physiological systems of the human body in response to exercise, though the benefits can be enormous for those with pulmonary disorders. In healthy people, lung volume, lung capacity, and respiratory rate change very little in response to training (8). However, in unhealthy individuals or those with inflammation of the respiratory system, exercise can have a substantial impact (11). In exercisers who are smokers or who have compromised lung function, such as those with emphysema or COPD (Chronic Obstructive Pulmonary Disorder), interval training has been shown to improve pulmonary function and respiration. In one study, COPD patients in their 80s who did a combination of strength and interval training had significant improvements in fitness, and a 14% increase in the vital capacity, a marker of lung function (12). 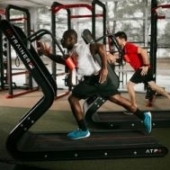 Interval training produces adaptations in the muscles that benefit endurance athletes. Glycogen is the stored form of carbohydrates in the muscles that is used to power exercise. Interval training increases glycogen storage in the muscle by as much as 20% (8). 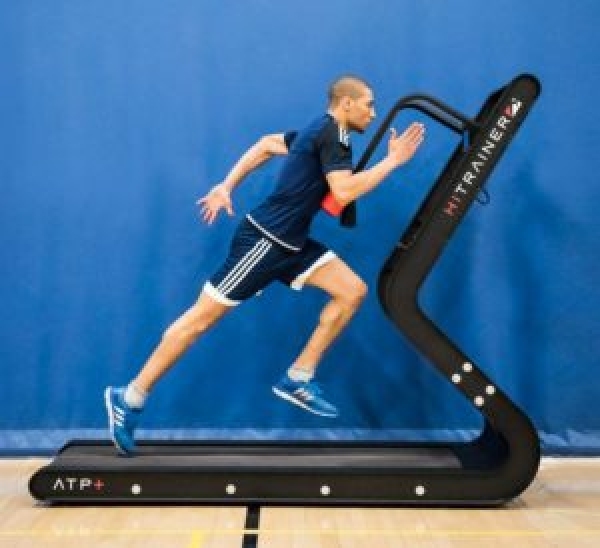 Interval training also stimulates the fast-twitch muscle fibres that are not trained with lower intensity exercise, increasing speed and power capacity (8). Together these adaptations can result in faster competition times. In one study, trained cyclists who included maximal sprint workouts twice a week in training reduced time trial performance, compared to a control group that continued with their regular training (13). Power is an essential trait both for athletes and for the elderly who need to preserve capacity and avoid falls. For athletes training for power, the goal is to train the body to utilise the stretch-shortening cycle, which is the elastic component of the muscle. For the elderly, the purpose of training is geared at sustaining muscle, stimulating the higher threshold motor units in the muscles, and maintaining function of the central nervous system. For athletes, maximal effort sprints and plyometrics that train the stretch-shortening cycle will increase power and performance. For older adults, cycle, walking and cardio intervals increase power and lean muscle mass after a 6-week low-frequency training programme (14). At CYC, we would like to thank the experts at HiTrainer for providing this invaluable information, based on extensive scientific research. 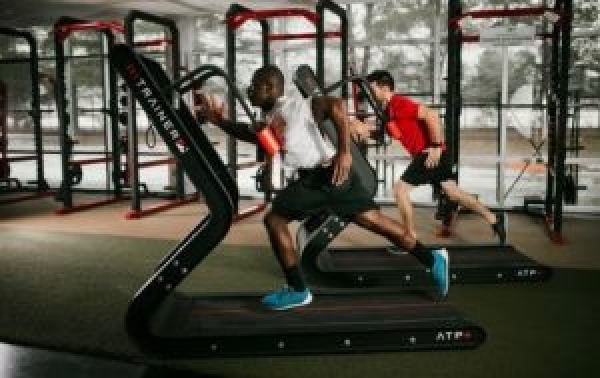 For more on sprint training with HiTrainer, THE most innovative non-motorised treadmill, head for our HiTrainer brand section. Boutcher, S.H. High-intensity intermittent exercise and fat loss. Journal of Obesity. 2011. 2011(868305). Maillard, F., et al. Effect of High-Intensity Interval Training on Total, Abdominal and Visceral Fat Mass: A Meta-Analysis. Sports Medicine. 2017. Published Ahead of Print. Wewege, M., et al. The effects of high-intensity interval training vs. moderate-intensity continuous training on body composition in overweight and obese adults: a systematic review and meta-analysis. Obesity Reviews. 2017. 18: 635-646. Trilk, J., et al. Effect of sprint interval training on circulatory function during exercise in sedentary, overweight/obese women. European Journal of Applied Physiology. 2011. 111(8):1591-7. Ciolac, E., et al. Heart rate response to exercise and cardiorespiratory fitness of young women at high familial risk for hypertension: effects of interval vs continuous training. European Journal of Cardiovascular Prevention and Rehabilitation. 2011. 18: 824-830. Ciolac, E. High-intensity interval training and hypertension: maximizing the benefits of exercise. American Journal of Cardiovascular Disease. 2012. 2(2):102-10. Zoladz, J., et al. Moderate-intensity interval training increases serum brain-derived neurotrophic factor level and decreases inflammation in Parkinson's disease patients. Journal of Physiology and Pharmacology. 2014. 65(3):441-448. Hoffman, J. Physiological Aspects of Sport Training and Performance. Second Edition. Champaign, IL: Human Kinetics. 2014. Wu, M., et al. The effectiveness of high-intensity interval training on the mental and physical health of people with chronic schizophrenia. Neuropsychiatric Disease and Treatment. 2015. 11:1255-1263. Isaksen, K., et al. Effects of aerobic interval training on measures of anxiety, depression and quality of life in patients with ischaemic heart failure and an implantable cardioverter defibrillator: A prospective non-randomized trial. Journal of Rehabilitative Medicine. 2016. 48(3):300-6. McArdle, W., Katch, F., Katch, V. Exercise Physiology. Eighth Edition. Baltimore: Wolters Kluwer Health. 2015. Sculthorpe, N., et al. One session of high-intensity interval training (HIIT) every 5 days, improves muscle power but not static balance in lifelong sedentary ageing men: A randomized controlled trial. Medicine (Baltimore). 2017. 96(6):e6040.